The high efficiency heating elements present in the Bain Marie Counter are admired by all of our patrons. The entire body of the Bain Marie Counter is made using high-quality anti-corrosive materials. We have become a credible name to get the best Bain Marie Counter at the market leading rates. 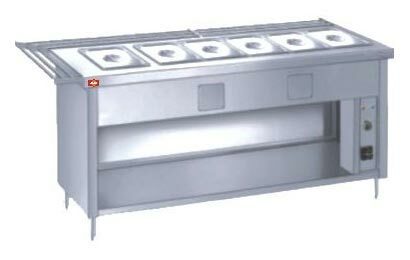 The Bain Marie Counter is easy to use and has an energy-saving design.